Call us today for a free quote. 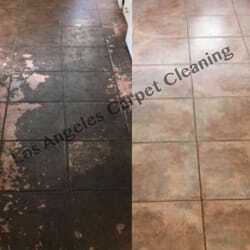 Los Angeles Carpet Cleaning offers Carpet cleaning, Upholstery Cleaning, Area Rug Cleaning, Tile and Grout Cleaning. Specializing in Pet Odor and Urine Stains. Truck mounted equipment, we can reach any floor. We also offer a Safe & Green carpet cleaning alternative. Steam clean and Dry cleaning for delicate fabrics. Sectional, Couches, Love-seat, Chairs, Mattresses, Same day drying! We have cleaned all types of upholstery. Whether the item is still new in the store from a customer or whether its been in the family for generations, we know how to clean it. We can clean velvet, suede, wool, silk. At Los Angeles Carpet Cleaning we how to reach deep down in your upholstery to achieve the maximum clean possible. Our dry times are the fastest in Los Angeles for a reason. We can clean anything from your office cubicles and chairs to your sectional and recliner at home. For items such as area rugs and drapery etc. a free onsite quote is available. Our experienced IICRC certified technicians are trained in both the cleaning and restoration process for area rugs. Due to the various fiber types and soiling levels, area rug cleaning can usually only be quoted on-site by one of our technicians. Rug cleaning involves a different cleaning process because area rugs are made of different fiber types than wall-to-wall carpet and must receive special care. You can trust us with any rug from your coffee table rug to your family heirloom. We are professionals and routinely clean hand woven, hand dyed rugs. Not all truck mounts are created equal. It matters whats under the hood! Here at Los Angeles Carpet Cleaning, we strive to provide the best carpet cleaning experience possible. If you have had your carpets cleaned in the past, then you know that this can be a more complicated process than it seems. When calling a carpet cleaning company, you have many questions. After all this is your home and or office we are cleaning, your either spending your entire day there working or its the place where your children or family will be walking barefoot or children putting fibers in their mouths. We know clean is important to you. We understand you want the best service at the best price. This is where Los Angeles Carpet Cleaning comes in. We offer the best carpet cleaning service at the best price. We do not compromise quality. We use the best equipment available and always take our time to do the job right. Not all truck mounts are created equal. It matters whats under the hood!